In general, applicants must have proficiency in English and the potential to add value to the country’s workforce to be considered for some visas. If migration to Australia is your goal, contact us. Choosing the wrong subcategory may mean that you cannot migrate to Australia. 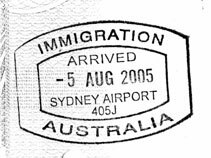 Contact us for an assessment of your eligibility for migration to Australia. You may pay with your credit card prior to the telephone, Skype or email consultation.